﻿ FertilityFinance.net has a list of frequently asked questions (FAQ) to help answer some of your fertility loan questions. Click here to complete the secure, online application. The application must be completed by both the Borrower (Primary Applicant) and the Co-Borrower (Secondary Applicant), which is usually your Spouse or other individual who you wish to nominate. There is a $25 non-refundable application fee. You will be asked to provide Credit Card information, and upon submission of your application, this fee will automatically be charged to your credit card. How do I know how much to apply for? Apply for an amount that will cover the estimated costs of your procedure. Fertility Finance will either approve you for that amount, or inform you of the amount for which you qualify. All applications received before 12 noon EST will be pre-approved on the same day. All applications received in after 12 noon EST or outside of our normal business hours will be pre-approved the following business day. What if I have had credit problems? 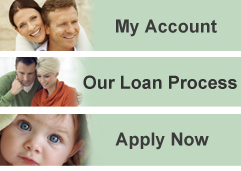 Fertility Finance will make every effort to customize a loan within the framework of your current financial status. As long as you make your monthly payments on time, you can prepay, or pay off, the remaining balance at any time, without penalty. If the loan is approved and all Loan Documents are executed, there will be a Document Preparation Fee of $75.00 and an additional $15.00 for every $1,000 (or part thereof) of loan amount above $5,000. The maximum fee is $150.00. When and to whom will the funds be disbursed? Once you have accepted your approved loan, the funds will be disbursed directly to the physician’s office within 2 business days on your behalf. Our Loan Specialists are available Monday through Friday between 12:00 pm and 8:00 pm EST. You may of course submit your on-line Application at any time. Click here to submit your request for information. A Fertility Loan Specialist will call you on the same day if your request is received before 12 noon EST, or the following day if received after 12 noon EST.